There’s no doubt about it, Los Cabos has a reputation. The name will be familiar to anyone who’s watched a few too many American reality TV shows, because this popular Mexican playground is where the casts of Keeping Up With The Kardashians, The Hills, and other LA-based shows head to on their private jets, when they want to let their hair down. Perched on the tip of Baja California, the long, thin peninsular that extends for 1,000 miles from the bottom of America’s Sunshine State, Los Cabos municipality first gained notoriety when Hollywood stars started coming here in the 1940s. One of the main coastal towns, Cabo San Lucas, still has a reputation for being a party central. 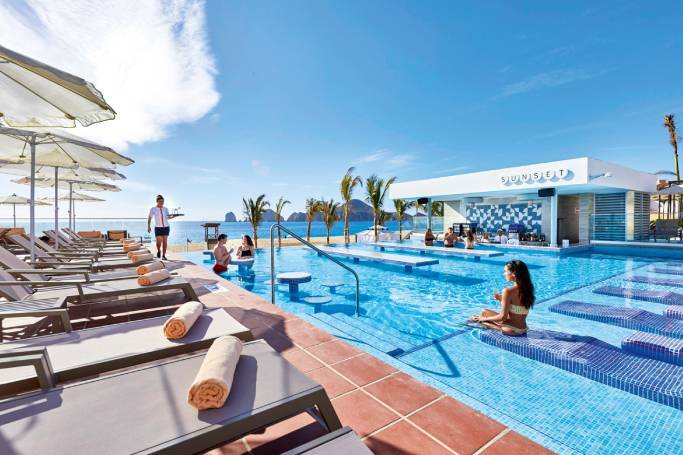 With Tui starting direct 12-hour flights from the UK to SJD Los Cabos International airport in November, it will soon be easier for Brits to sample the Cabo craziness. But is it worth flying all the way to the west coast of Mexico just for a good night out? Pretty much the only good thing about jet lag is that it wakes you up in time to time lapse the sunrise. These are the famous rocks seen from Cabo San Lucas bay. If only I had known where the sun was actually going to come up (watch to the end for the swivel to the east). It turns out Cabo has a lot more to offer than after-dark amusement, as I discover when I jump on a speedboat at the San Lucas Marina and jet off in search of Pacific sea creatures. Every year, humpback whales travel to the warm waters around Baja California to mate, before returning to the freezing north. Between December and April, the marine mammals can be spotted when they surface to breathe. On this occasion, we’re lucky enough to glimpse a mother and baby, their dorsal fins and flukes repeatedly emerging from the waves before they dive back down into the deep. It’s a magnificent sight to see up close – although there are strict rules about how close boats can get, to avoid disturbing the beautiful ocean dwellers. Happy Hump Day... from me and this humpback whale mama who was paddling with her baby off the coast of Cabo San Lucas this afternoon. Did you know that humpback whales mate in warm waters then head back up to Alaska for the 10 or 11 month gestation period? It was amazing learning about and watching them on our @cabo_adventures tour. That’s not my only brush with local marine life during my trip. 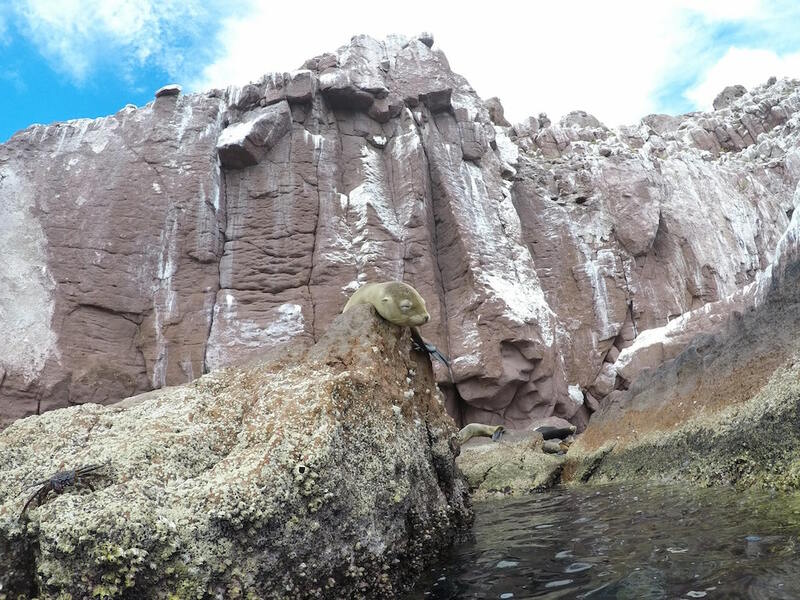 Four hundred sea lions have colonised a craggy island off the coast of state capital La Paz, a two-hour drive from Cabo San Lucas. We hop aboard a privately chartered boat to pay them a visit. Even before we see the playful pinnipeds, we hear them honking cheerfully as they bask in the midday sun. Donning wet suits, flippers and snorkel gear, we plunge into the clear blue waters to take a closer look. With their button noses, whiskers and sleepy smiles, the adorable creatures loll and doze on the rocks, while a mother and her baby whizz about in the water beneath us. After paddling around the island, it’s back to the catamaran for lunch (tangy ceviche, fresh guacamole and tortilla chips) and an afternoon spent sipping ice-cold mimosas and lounging around, not unlike our sea lion pals. After so much rest, I go in search of something a bit more adventurous. On Cabo’s main beach, Medano, I hire a jet ski and zoom about for half an hour, bouncing over the waves and pretending I’m in a hip-hop music video. Why do I not look as cool as Rihanna when she’s on a jet ski? 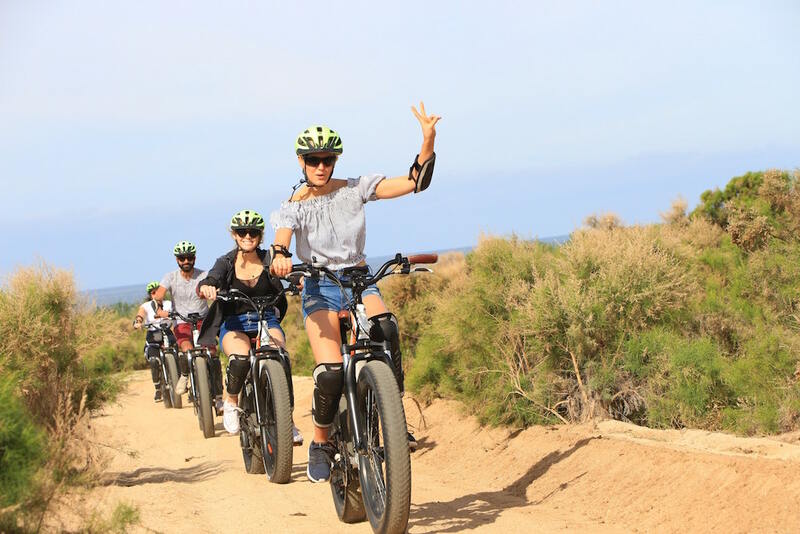 I put the pedal to the metal again when I jump on an electric bike, adapted with extra-wide tires, to make it suitable for the sandy terrain. Speeding along a deserted beach and down cactus-lined desert trails with the wind in my hair feels awesome. On reflection, I realise it’s probably a good thing the bike’s speed is capped at 25km per hour. 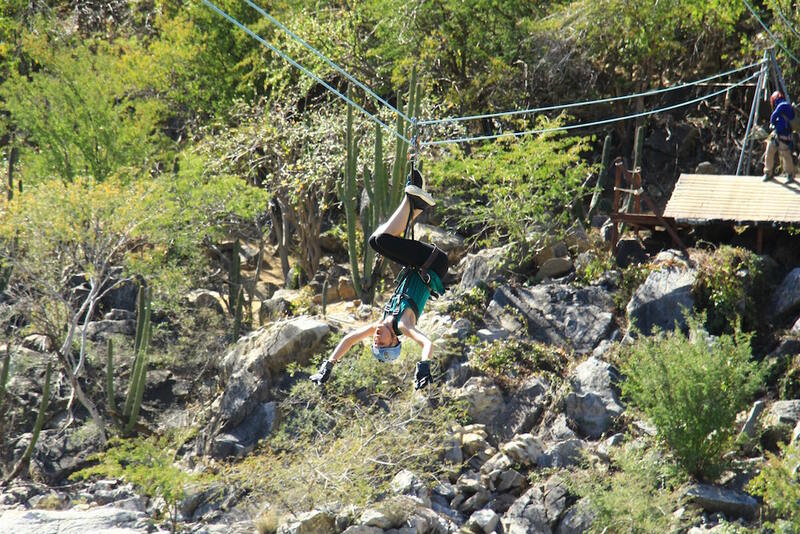 But the pinnacle of my daredevil pursuits comes with a nerve-wracking but exhilarating zip line tour, zigzagging across a narrow rocky canyon on increasingly long wires and, in one case, hanging upside down like a bat. The excursion culminates in an adrenaline-inducing 1.5km whoosh face-down along a ‘Superman’ line – the closest I’ve ever come to feeling like I’m flying. But it would be rude to ignore Cabo’s nightlife completely. As my heart rate returns to normal, the sun is setting, and the town’s party animals are starting to stir. A typical night starts with margarita cocktails at the much-loved Nowhere Bar (nowherebar.com) on the marina before getting roped into drinking games led by an emcee at The Giggling Marlin (gigglingmarlin.com). Then it’s time to hit the light-up dance floor at the cow-themed La Vaquita, followed by R’n’B tunes down the road at Mandala (mandalacabos.com). And finally, all roads lead to El Squid Roe (elsquidroe.com), a legendary four-floor disco paradise where the crowds bump, grind and do jelly shots into the small hours. 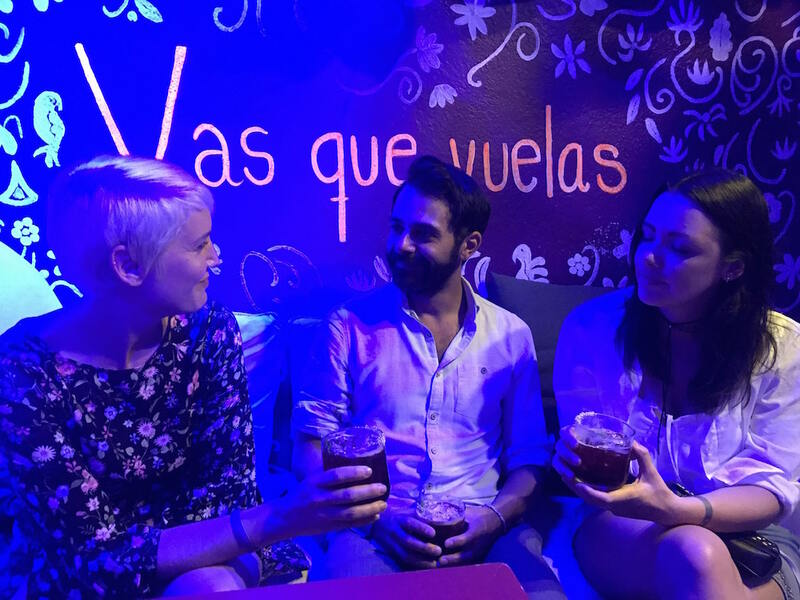 It’s all good fun, and because Cabo attracts a slightly older crowd (it’s popular with bachelor and bachelorette parties, as Americans call them), it doesn’t feel seedy, like some European clubbing spots do. Saying that, you might want to avoid the Spring Break holidays in March and April, when hordes of hedonistic teenagers descend. Apart from restaurants, the concept of a ‘quiet drink’ doesn’t really exist here, but if it’s quality cocktails you’re after, head to Vas Que Vuelas Mezcaleria. Situated slightly off the main drag, this laid-back, black-lit bar serves 17 types of mezcal, the smoky spirit made from the native agave plant. Painted on the wall in Spanish is a sentence that translates as, ‘I want a love that you enjoy like mezcal: slowly’. It’s hard to believe this town ever slows down, but factor in a few lazy afternoons on the beach and it is possible to feel refreshed. If you’re looking for a holiday that’s equal parts fiesta, siesta and adventure, Los Cabos will certainly float your boat.